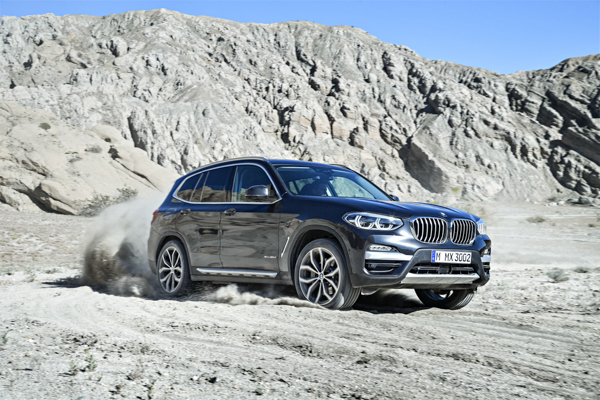 From the outside, the new BMW X3 xdrive30i is a good-looking BMW X3, but on the inside… spectacular! I opened the door to a combination of black and cream leather and trim with great lines and elegant features. The centre dashboard incorporates Apple Car play with an interactive media system which was easy to use and, combined with the Harman Kardon sound system, enjoyable. I took it to Mount Somers and really got the feel of a solid driving vehicle – four cylinders with 185kW of torque; it’s sturdy with power right when you need it. Driving a new car, I’m looking for outstanding features and, on the way back, I encountered one. An accident logo appeared on the screen on the trip computer. Sure enough, we discovered there had been an accident. The feature enables you to navigate around accidents and road works with its interactive online system. Featuring gesture control, heads up display and driving assistant, it’s loaded with top of the line features. The sunroof is pleasant, and the automatic rear opening and closing is such a great feature for busy people getting family/work loaded and unloaded. With so many bespoke options among the variant models, 10 different types of alloys alone, there’s an option for everyone. Now I’ve been a fan of BMW since the 1980s, so you’re preaching to the converted, but this has been a standout SUV based on its interior features and pure driving pleasure. It’s great to see and feel quality when you drive. The BMW is stocked right to the sunroof on all this.